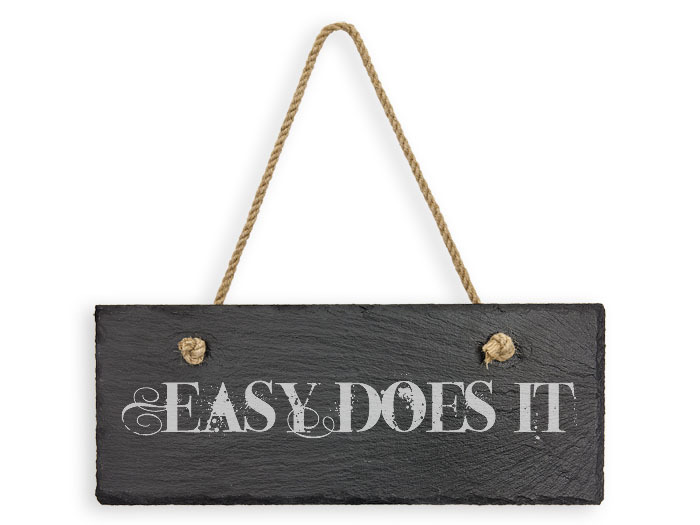 Hang this handsome laser engraved "Easy Does It" sign where you'll see it regularly - a constant reminder to take things as they come, in an easy manner. Nearly any recovery slogan, image, logo, or special message (in nearly any font) can be laser engraved onto these dark gray, natural slate signs. 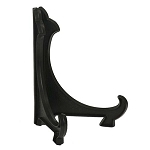 Each plaque can also be displayed on a table, desk or shelf with one of our Plaque Display Easels. An unattached hanging string is included for tying into the pre-drilled holes.